Key pads, transmitters, free exit loops, gate edges, card readers…What do these terms even mean? When gate operators were about as sophisticated as a garage door opener from Sears, programming and maintaining them was a breeze. 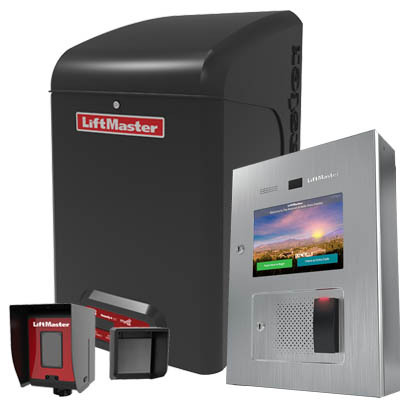 With advancements in current technology, gate operators and their access controls have become ever more complicated. American Fence Company of Omaha is proud to be in business for over 50 years. As an authority in the field of gate installation, they understand the importance of having professionals in a variety of trades. Similar to having master welders and fabricators in our custom metals shop and having their artisans in the field building a beautiful custom wood fence, American Fence installs over 500 operators every year. 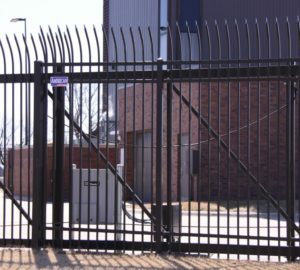 These operators range from a simple storage unit cantilever gate with a key pad entry to Department of Defense crash-rated barriers for nuclear power plants. We understand the need and importance of having that same type of professional who is completely committed to understanding access controls—including selecting the proper operator—all the while listening to the customers’ needs and making the best recommendations. It does not stop there: Our Access Control Lead Technician is also there for service after the sale. They are also available to help troubleshoot older devices and evaluate and repair most systems with very little down time for the customer; which for a business owner—or even a home owner—means one less worry on your plate. 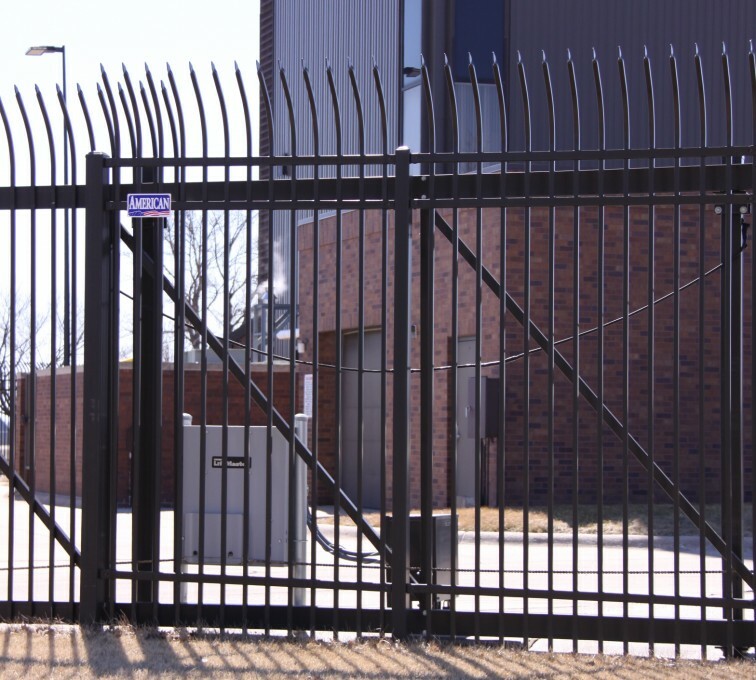 Contact American Fence Company of Omaha today if you’re interested in installing a gate operator or access control system, or if you have any questions!